Need a quick make-ahead breakfast the whole family will love? 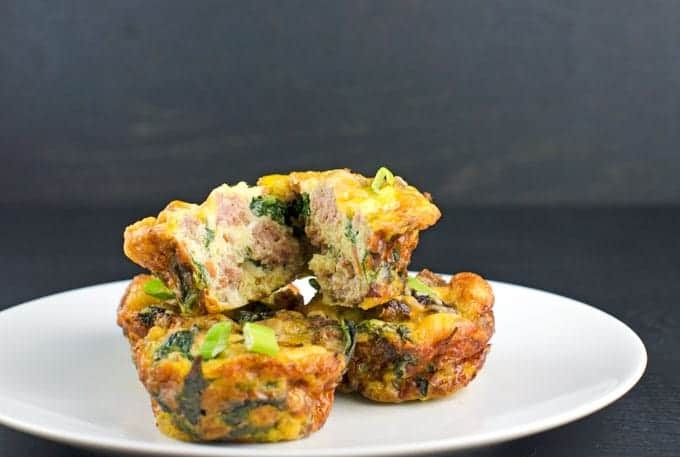 Check out our sausage and kale mini frittatas recipe. I’m always trying to come up with quick breakfast and lunch recipes that are relatively healthy while still being able to keep me full. Being packed full of flavor is also a must. 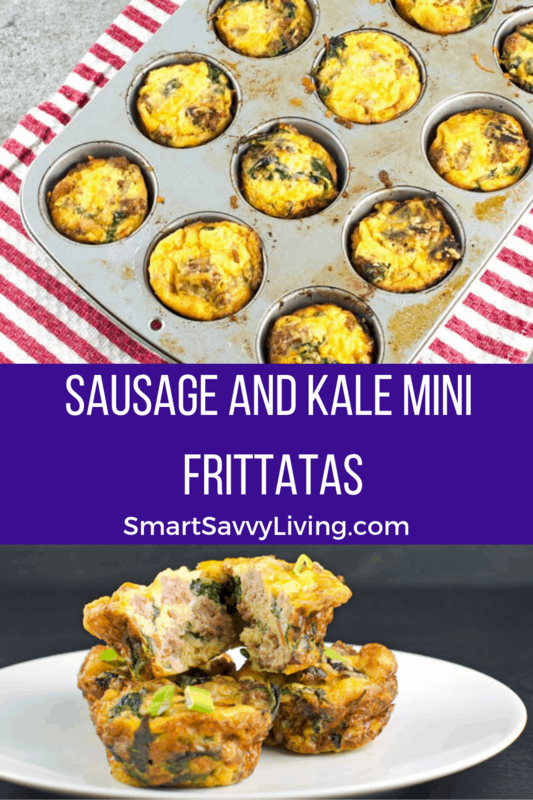 That’s why I love this sausage and kale mini frittatas recipe so much. They’re pretty quick to make and you can make a ton of them to have all week for any meal or even a high-protein snack. If you’re unfamiliar with frittatas, they’re very similar to a quiche without a crust. So, they’re great if you’re looking for something lower carb. Oh, and it’s a lot more fun to say. 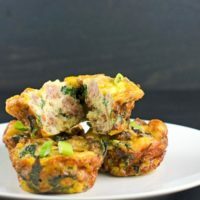 These mini frittatas can easily have the filling ingredients changed up but this time I went for some extra protein by including breakfast sausage and cheese, and an extra nutrient boost with a kale, spinach, and carrot mix that I found at Sam’s Club. I also really like making them with sausage, spinach, and swiss cheese. 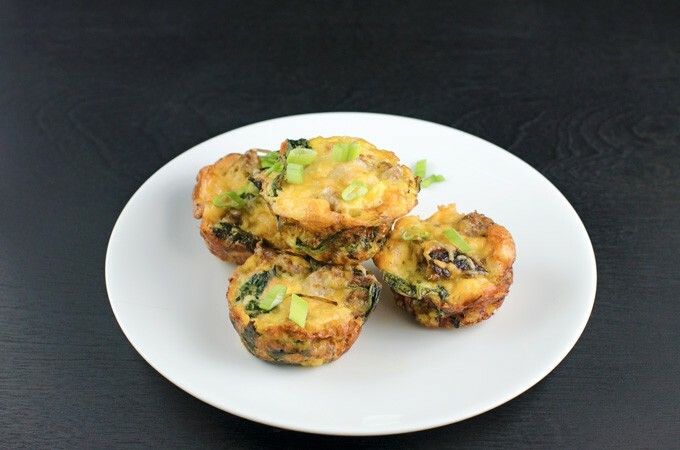 These frittatas also reheat really well so I often like to make a double batch so we can quickly warm up a few throughout the week for a quick breakfast. You can also freeze them to use in the future. I like to flash freeze them on a sheet tray and then put into a freezer-safe zip top bag so I can take out however many we want at the time. Just bake at 350°F until warmed through. While frittatas make a great all-in-one meal here are some sides and beverages that go well with them if you’re looking for something a bit more hearty. Need a quick make ahead breakfast the whole family will love? 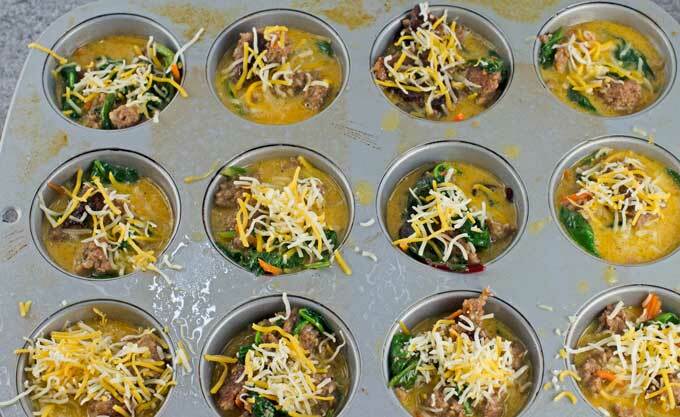 Check out our sausage and kale mini frittatas recipe. 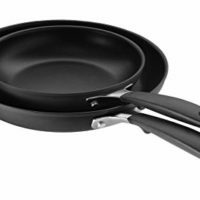 Heat a medium-sized skillet over medium-high heat. Once hot, add sausage and cook until cooked through stirring now and then so that it evenly browns and breaks into bite-sized pieces. In the meantime, break the eggs into a medium-sized bowl and whisk together with the cream and a pinch of salt and pepper. Set aside. When the sausage is done, lower the heat to medium-low and add the kale (it will cook down a lot) and cook until it softens, stirring often. Season with a pinch of salt and pepper. When the kale has softened remove the skillet from the heat and set aside to cool for a minute while you grease a 12 cup muffin tin with non-stick spray. Mix the sausage mixture into the egg mixture until well-combined. Evenly distribute the mixture into the muffin cups. I use a large cookie/ice cream scoop to help with this. 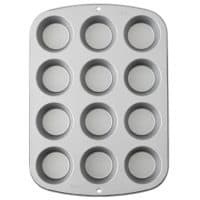 Top each frittata with a large pinch of cheese then bake in the preheated oven for 15 - 20 minutes or until eggs are cooked through and no longer jiggle when the pan is shaken. Let the frittatas cool in the pan for a couple minutes then remove, garnish with green onion if desired and serve immediately. Keep leftovers in the fridge for up to about 3 days. I reheat for a minute or 2 until warm in the microwave. 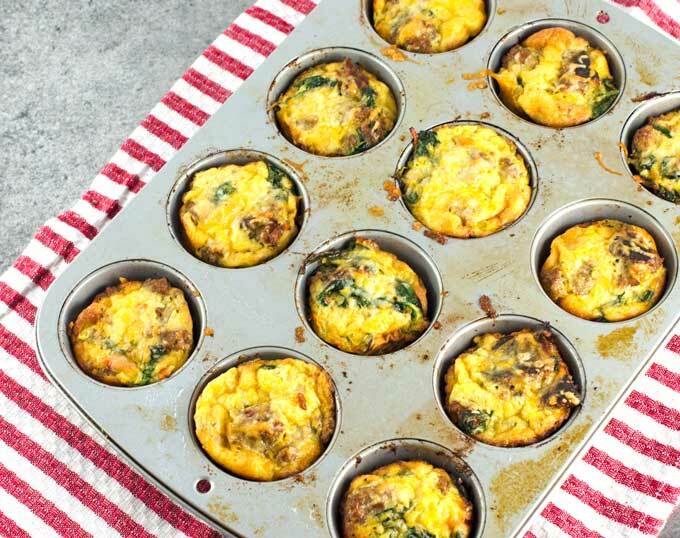 If you have leftover egg mixture after filling the muffin tin, it makes for a great scramble. Nutrition information isn't always exactly accurate. Exact nutrition information depends on the specific ingredients you use. Yum, those sound amazing and look easy to make!! My kind of recipe. :) Pinned it to try soon.